Early Rise Plantation is reminiscent of the true southern charm of the old low country plantations. This top notch Gentleman's Property is perfectly set up for hunting, fishing, entertaining and enjoying a grand time with family and friends. 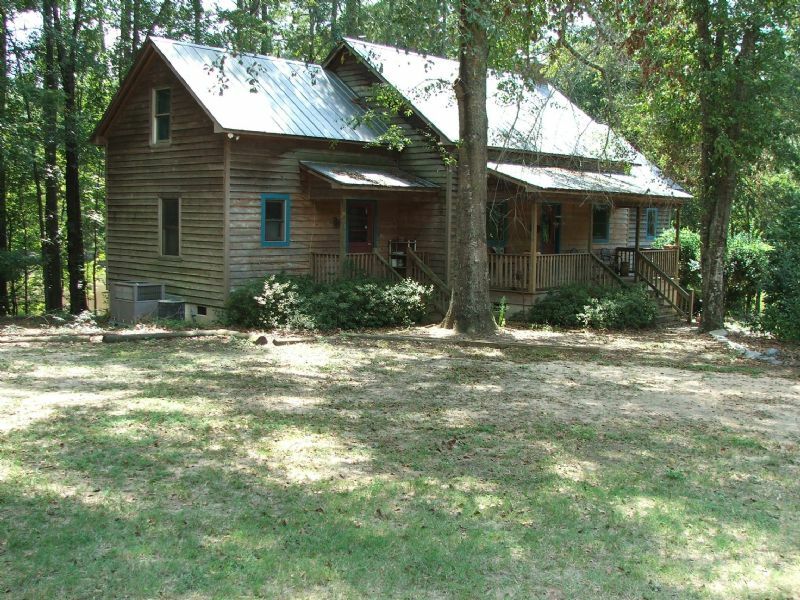 This plantation offers a heart pine custom lodge overlooking a stocked fish pond, fully equipped cookhouse/shed w/ full bath, game processing area and 175.22 +/- acres of excellent hunting and fishing. Hays Creek traverses 1,800 feet through the property entering into the South Fork of the Edisto River with about 1,000 feet of frontage. The considerable hardwood timber in the river bottom and along Hays Creek has an open canopy perfect for calling in that early morning Gobbler. The large mature pine timber is well managed and has significant value. The many game fields lined with Sawtooth Oaks are loaded with acorns every year. Observing deer and turkey and some fine fishing is an everyday experience at Early Rise. The custom Lodge is all heart pine perfectly constructed in grand low country style. With its large porches, it is a perfect retreat and blends seamlessly into the landscape. A large brick fireplace is the central focus of the main room. The spacious den connects with the kitchen, which has custom heart pine counters. On one end of the house is the master bedroom and master bath with walk-in closet located on the main floor. The other end of the house has another bedroom with another full bath. Upstairs has the third bedroom with a full bath. A sitting room upstairs has a balcony that allows an excellent view of the fireplace in the great room. A large screen porch and another large deck on the back of lodge overlook a spring-fed pond and large timber. If you plan on hosting a large function, the adjacent Cookhouse and shed will certainly handle many friends with ease. Inside is a full kitchen and considerable open space, with another full bath. There is more covered space outside for entertaining or storing equipment. The well maintained yard has plenty of space for a large fire on cold days. Adjacent to the Cookhouse is a game processing area with shelter, water and a concrete slab for preparing the days hunt of dove, ducks, turkey and deer or as a space for the next oyster roast. Out by the main entrance is another small residence or manager's quarters. This is a cozy little home that also blends into the landscape with the Charleston- style low country look. This is a special multi-use property of high quality and huge diversity. These types of properties do not find their way to the market very often and we are excited to share Early Rise Plantation with you. Early Rise is located between Bamberg and Denmark, SC at 12140 Charleston-August Road and the Edisto River. Property taxes for 2016 were Let us know if you would like to take a look. Property is locked and shown by appointment only.